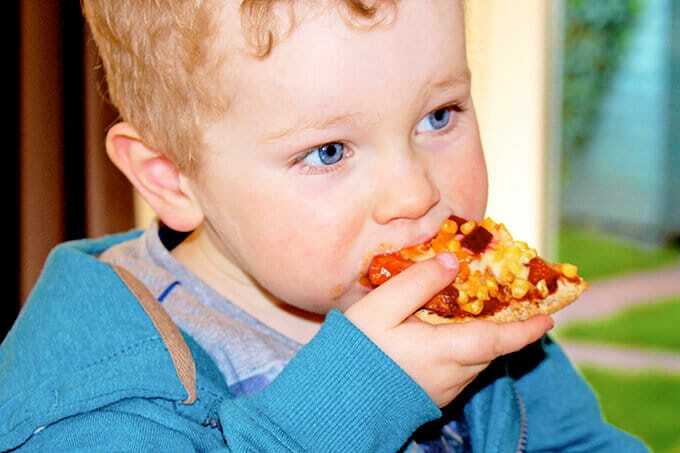 If you are looking to make a quick meal then pitta pizzas are perfect. 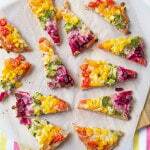 I love colourful food and this rainbow pitta pizza is no exception. 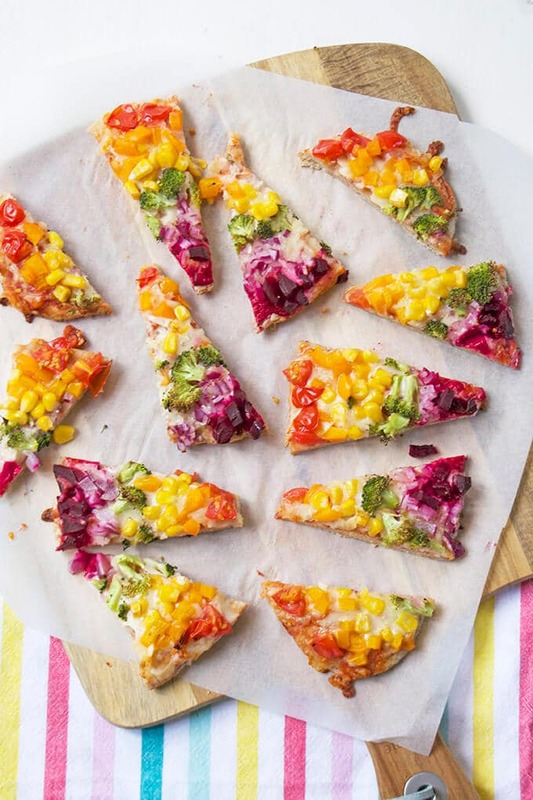 It is a great way to get a range of vegetables into your child’s diet and eating a rainbow of fruit and vegetables helps give your body the nutrients it needs. 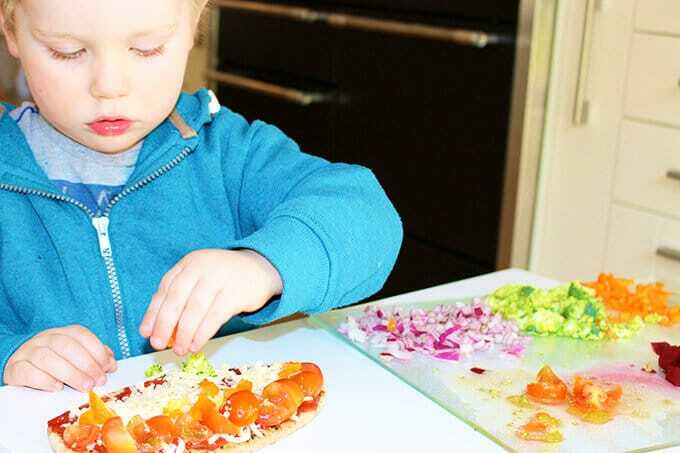 This is another great way to get your kids involved in the kitchen. I chopped all the vegetables up and made a pizza for Finn to copy. Although it didn’t quite end up looking like a rainbow he still got each vegetable onto the pitta and was proud of his finished masterpiece! Start by adding some pizza sauce or passata and then some grated mozzarella cheese. 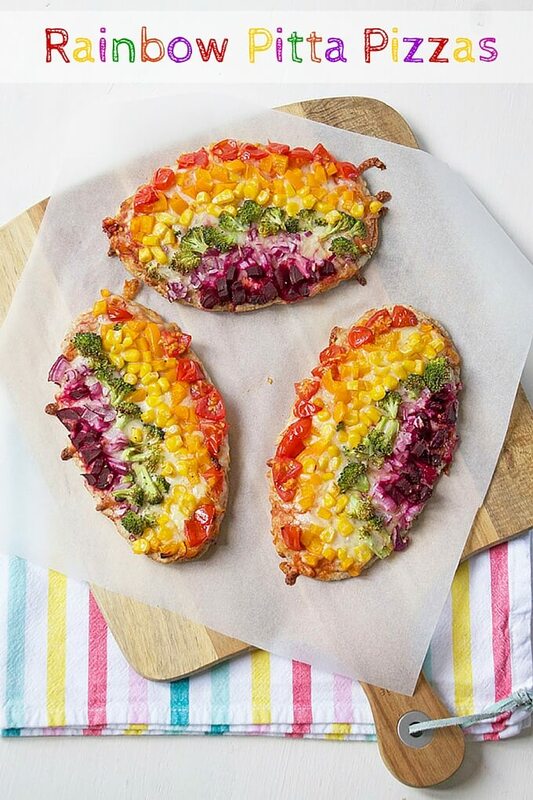 Finally arrange the chopped vegetables as a rainbow. I used cherry tomatoes, orange peppers, sweetcorn, broccoli, red onion and finally cooked beetroot. Spread each pitta with pizza sauce and sprinkle with mozzarella cheese.